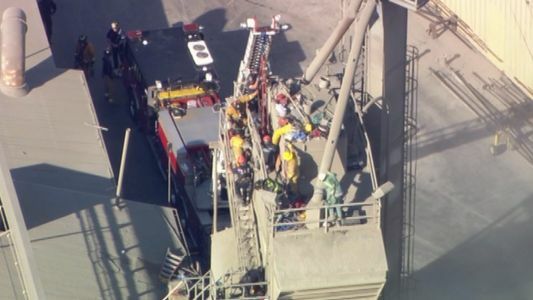 Workers in Northern California are trying to rescue a person stuck in a cement mixer. 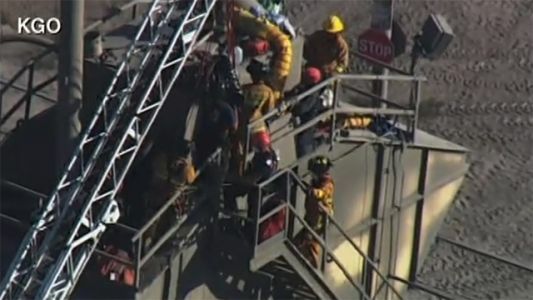 Northern California rescue workers were trying to free a man stuck in a two-story industrial cement mixing facility. Officials say a man got stuck waist deep in a cement mixer in Union City. Rescue crews are on scene trying to extract the man from the cement.